SCD Group: What can association publishers learn from the Time Inc.’s magazine dump? What can association publishers learn from the Time Inc.’s magazine dump? 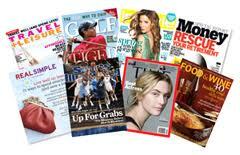 Time Inc has is "spinning off" its magazines such as Sports Illustrated, Money and Time. When I first started work in the association world, I was assigned to manage the transition of the association’s magazine from a house organ to a commercial magazine. My first job: hire an outstanding association publisher and let him take over and do his thing. Six years later, our magazine dominated our industry publishing. We went from gross ad sales of $195,000 to more than $3 million a year. I realize this was “pre-Internet” but the following story shows that it still can be done. A few weeks’ back, USA Today’s Rem Rieder wrote Magazines don’t deserve to be dumped. So much has changed in the media world in the ensuing years, with the onset of the digital age. Magazine advertising and circulation have shrunk. Rather than a jewel in the crown, Time Inc.'s magazines—Time, Sports Illustrated, People, Fortune and on and on — were seen as a drag on the bottom line. So Time Warner last week said it will spin off the titles to fend for themselves as a separate, stand-alone unit, the better to concentrate on its lucrative film and television operations. And while things are tougher for general interest magazines, niche magazines aimed at tightly targeted audiences are faring much better. And there's no shortage of people who want to play. Nearly 200 titles launched last year, according to MediaFinder.com. Samir Husni, the founder and director of the Magazine Innovation Center at the University of Mississippi, sees what has happened at Time as a consequence of having business people with no regard for magazines running a company that was launched by a visionary journalist. And he sees that as emblematic of broader changes in the industry. "Magazines are still bringing in a lot of money," he says. "Many magazines are profitable. Are they making less? Yes. Maybe we need to be less greedy." And he is dazzled by the huge increase in the number of magazine titles. In 1980 there were about 2,000. Now there are 10,000. The proliferation reflects the dominance of the niche. Today there's a magazine for virtually every interest, no matter how arcane. "There are about eight magazines about chickens," Husni marvels. What does this mean for association magazines? If you remain a print magazine, dominate your niche! If your association niche has one or more competitors, dominate it or get out. Getting out means dropping your magazine and replacing it with other content delivery vehicles.